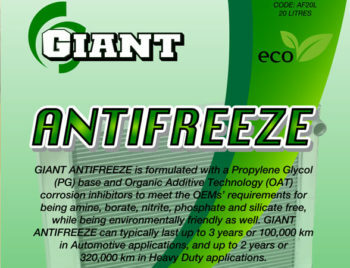 GIANT ZAPP WASH is a fast-drying parts cleaner/degreaser for removing oil, grease, dirt, dust and other contaminants from mechanical parts, where a residue-free finish is required. 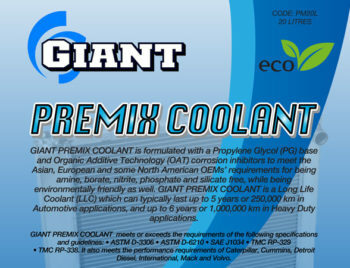 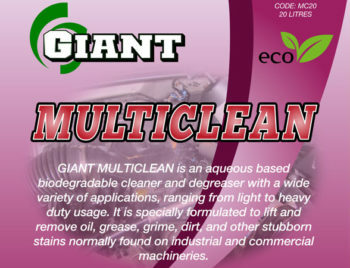 GIANT ZAPP WASH can be used directly on the components of machineries or for pre-assembly of such components, effectively removing oil, grease, dirt, dust and contaminants on the metal components and floor areas, commonly found in automotive workshops, fleet maintenance depots, marine vessels, industrial work areas, etc. 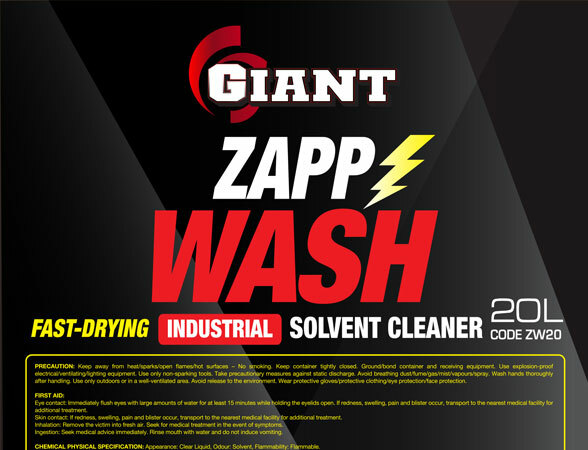 GIANT ZAPP WASH evaporates rapidly and leaves no residue after use. 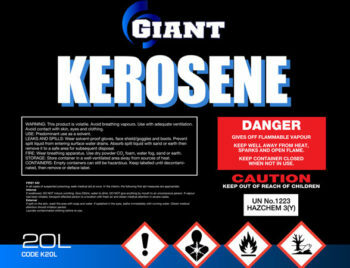 Always familiarize yourself with the details as stated within the Safety Data Sheet of this item before using it.